Congratulation on your new home! You have finally ticked off one big thing in your life achievements, isn’t it? Proud of your *own* house right? 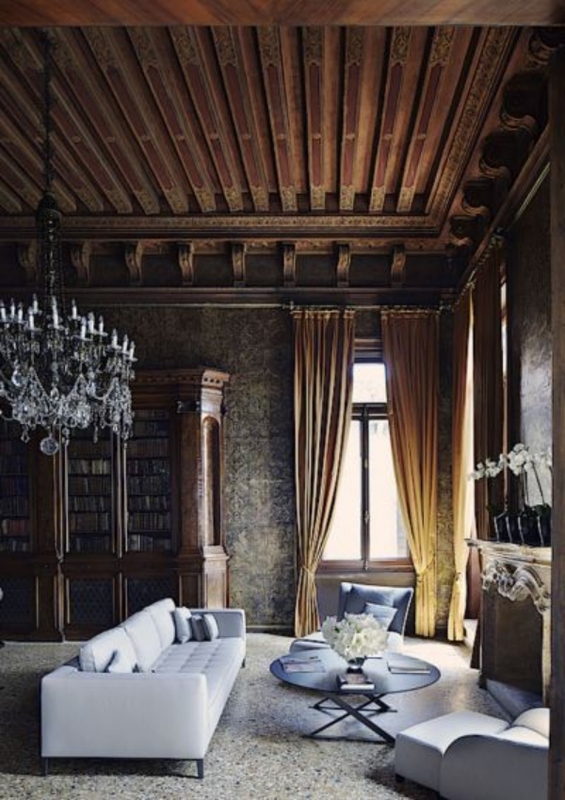 After the big expense of a house, decorating and setting it up to your liking is the next big thing to do. 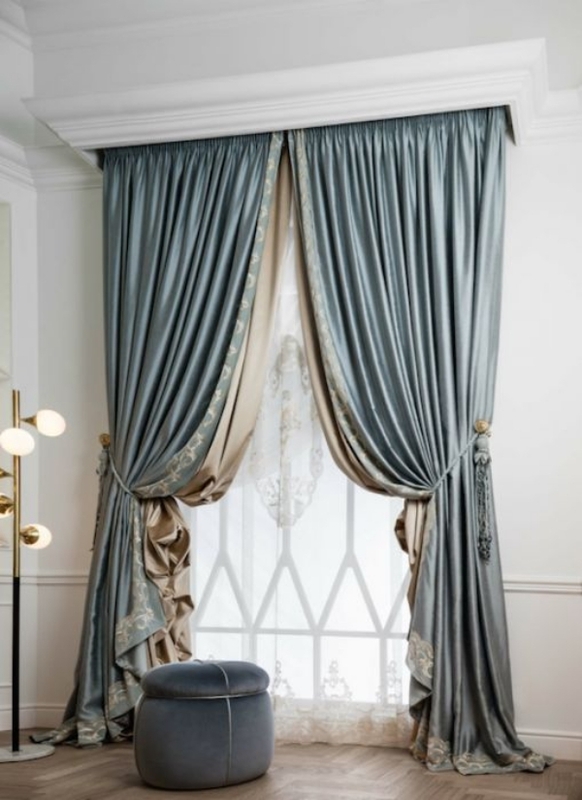 I am sure you will definitely agree with me when I say that curtains are one thing that can make or break the entire interiors and you you best embellishment for windows. 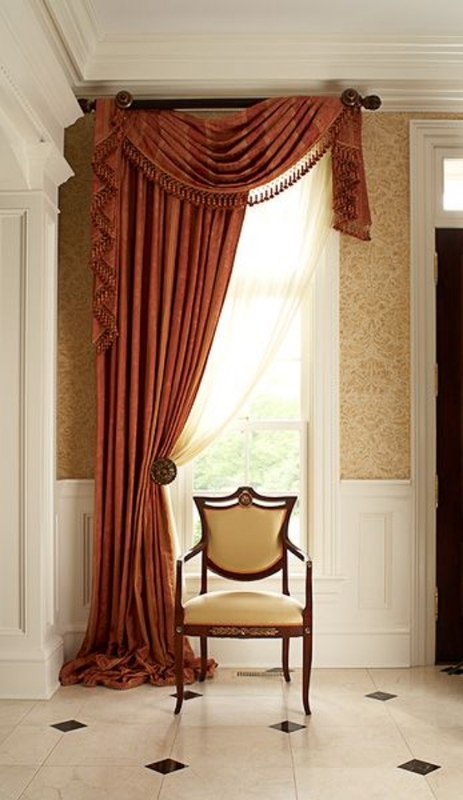 If not chosen and made to hand in the right way, the look of the room is just incomplete! 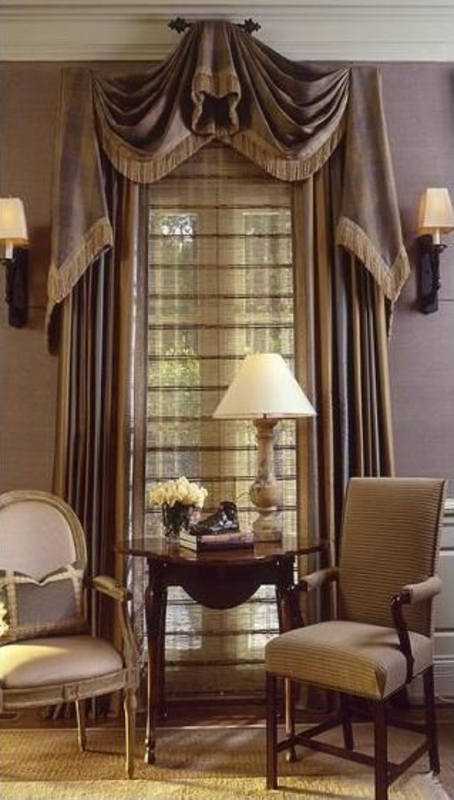 And if you are a private person, you will want curtains to shield your interiors from the prying eyes outside. 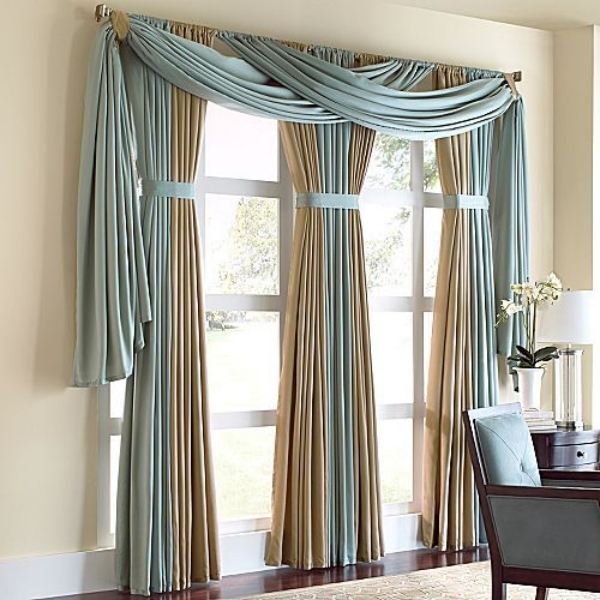 Now, if you are looking for some creative ways to hang curtains like a pro that won’t pinch your pocket, these tips should help! 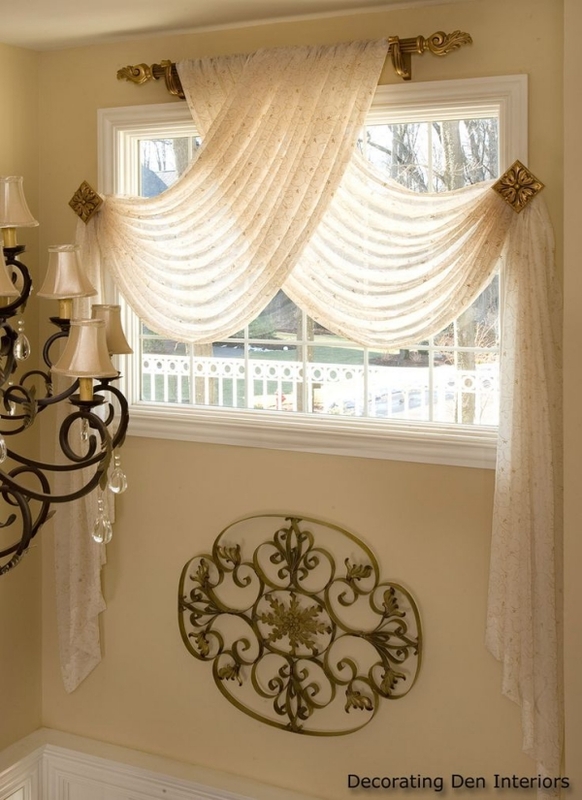 Get some coat hooks and fix them above your windows to hold the curtain panels. 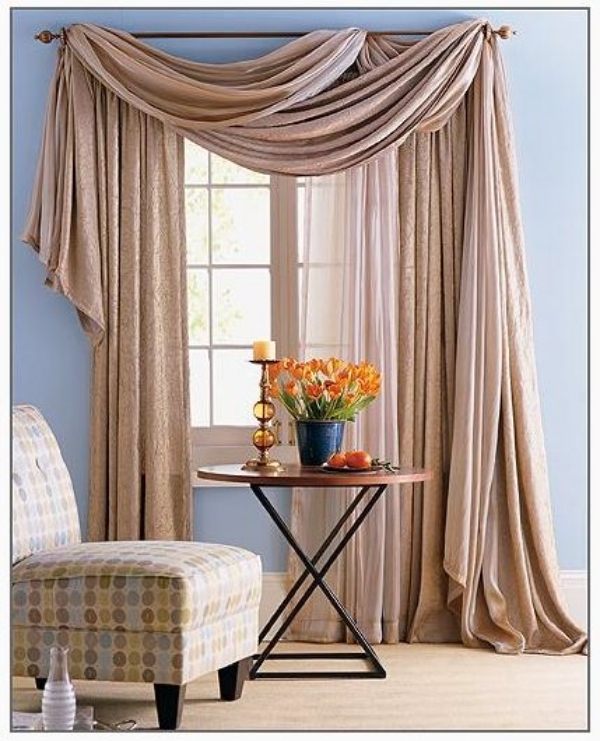 Fix curtain rings or loops of fabric to the tops of the curtains and then just hang them on the hooks. 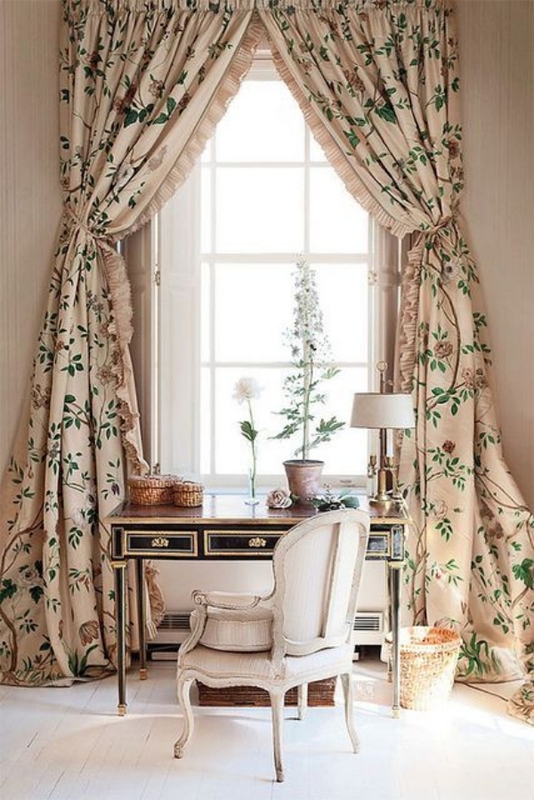 To make it more decorative, you can put silken bows or flowers on the hooks for that unique little touch. You can find some great looking, fancy and antique doorknobs in thrift stores or those antique stores tucked away on small streets. 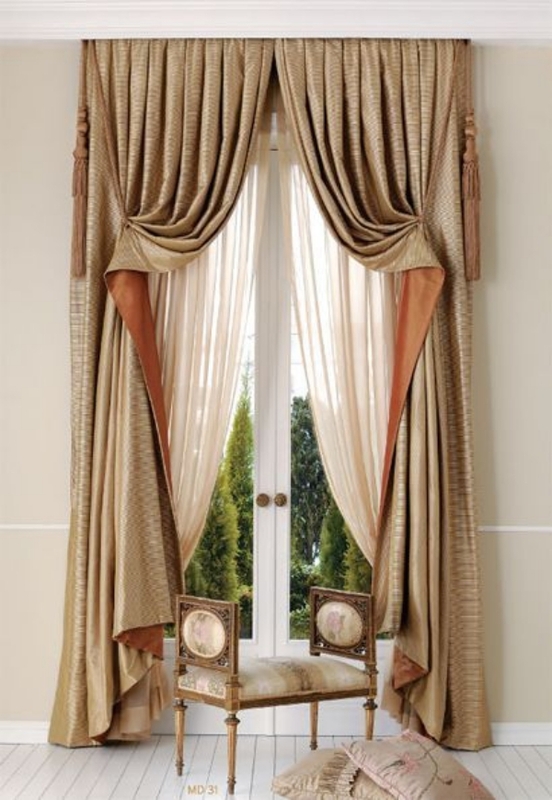 Fix them to the wall above your windows and tie your curtain to these knobs. 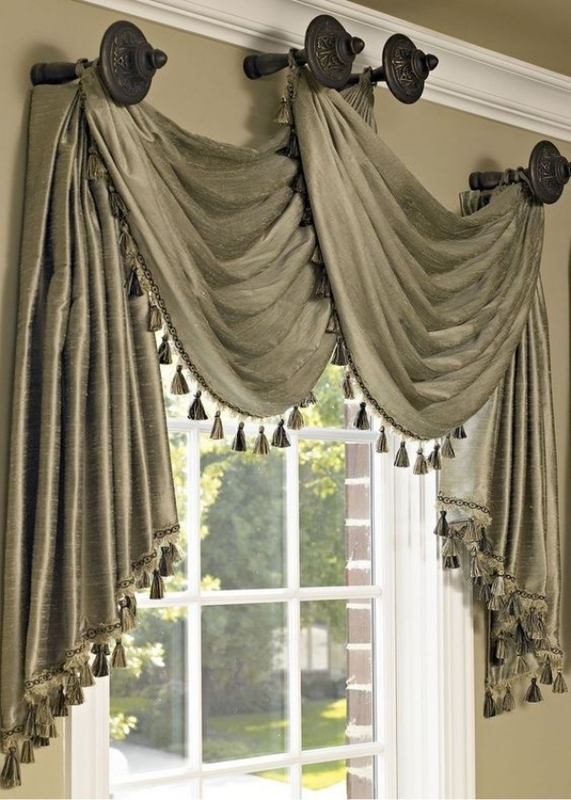 And because you might have used up your coat hooks to hang up curtains, you can use your doorknobs as coat hooks too. Just fix them to a wooden base and hang‘em up near the door! Talk about multi-tasking! If you have some bent and misshapen spoons lying around in your house, do you know you can put them to good use? Just take a pair of pliers to bend them into the shape of an S-hook. 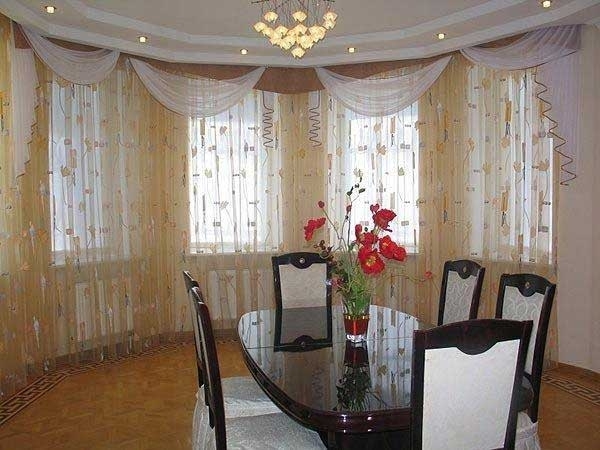 Hang up your kitchen curtains. 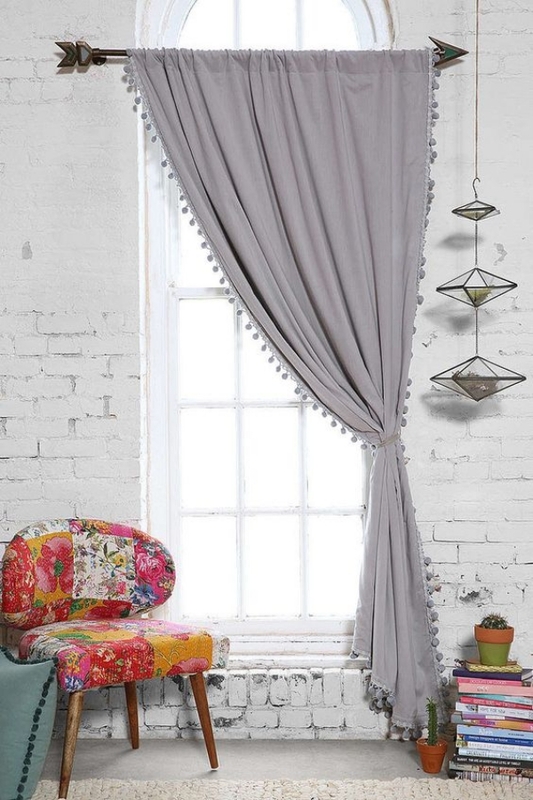 Isn’t that just one of the best Creative ways to Hang Curtains Like a Pro? 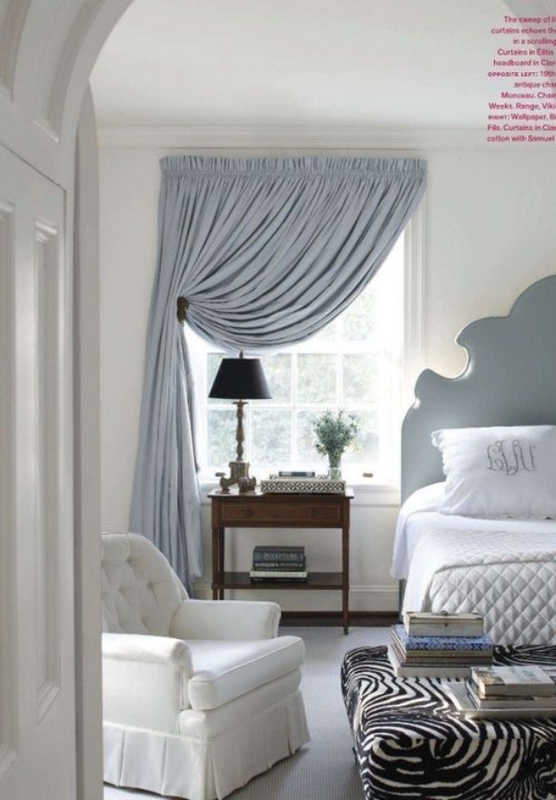 Like coat hooks, you can use cup hooks to hang up your fancy drapes. 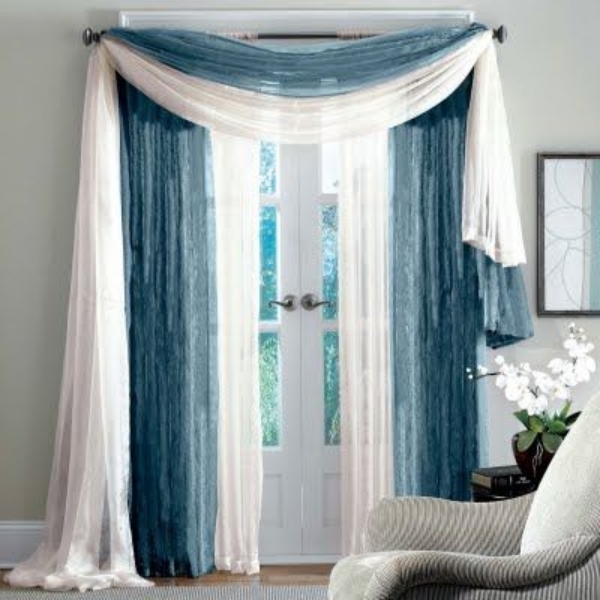 Try painting them in bright colors or colors matching your curtain color scheme, and the whole look changes. And what’s more, they are not expensive at all! If you have a room done up in the style of the Wild West, go all the way by getting some western hand tool belts. 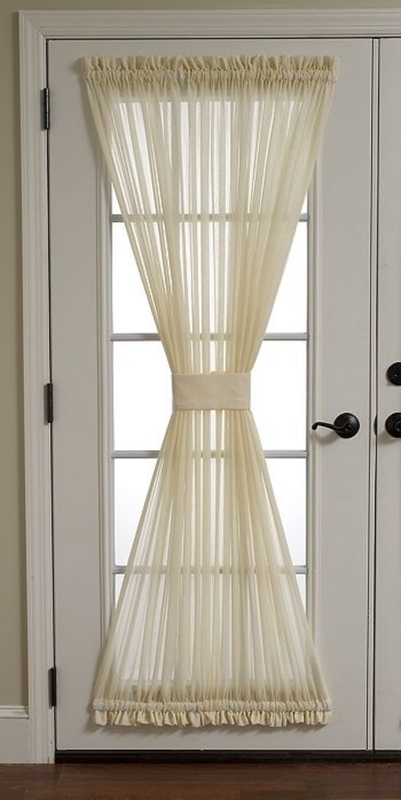 Just cut them up to the same length and loop them through the curtain tabs and over the rod. An even better idea is to hang these belts from horseshoes fixed above the window. 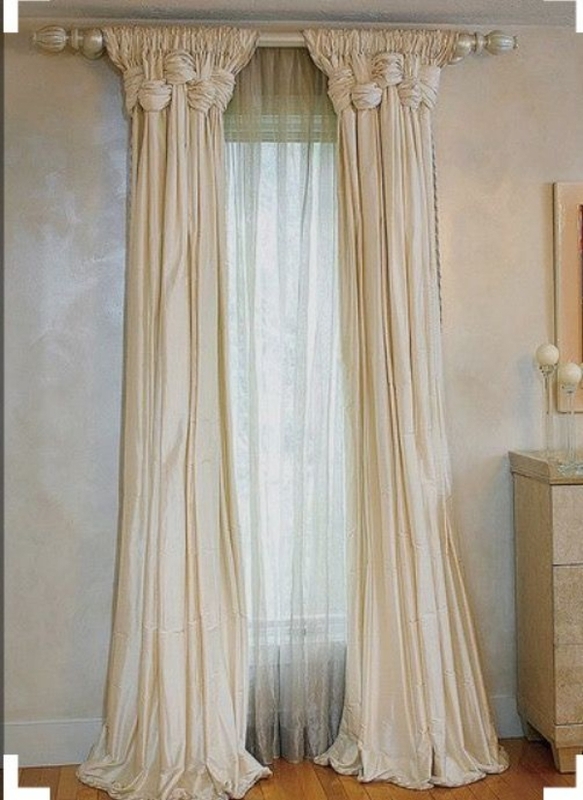 Looking for cheap as well as creative ways to hang curtains like a pro? How about using clothespins to hang them up? 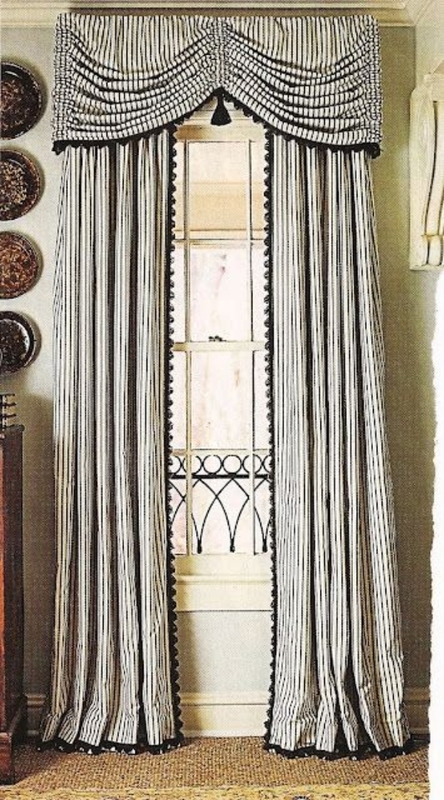 Just take the curtain and attach it to a thin rod or cord across the top of the window. 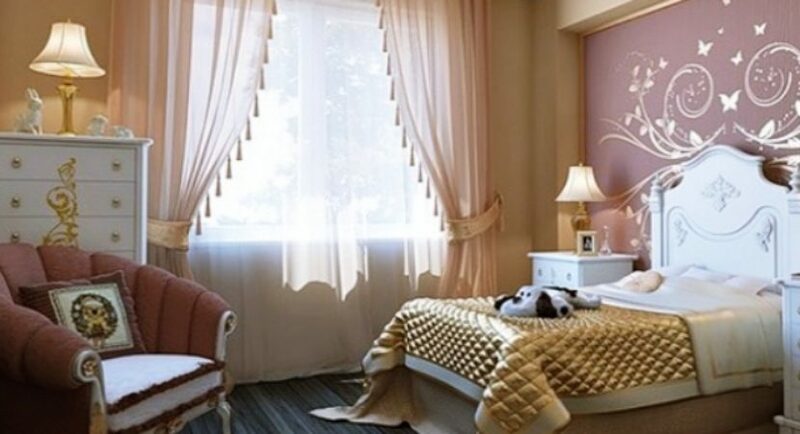 You can choose to paint the pins in bright colors or leave them in their natural wooden way. 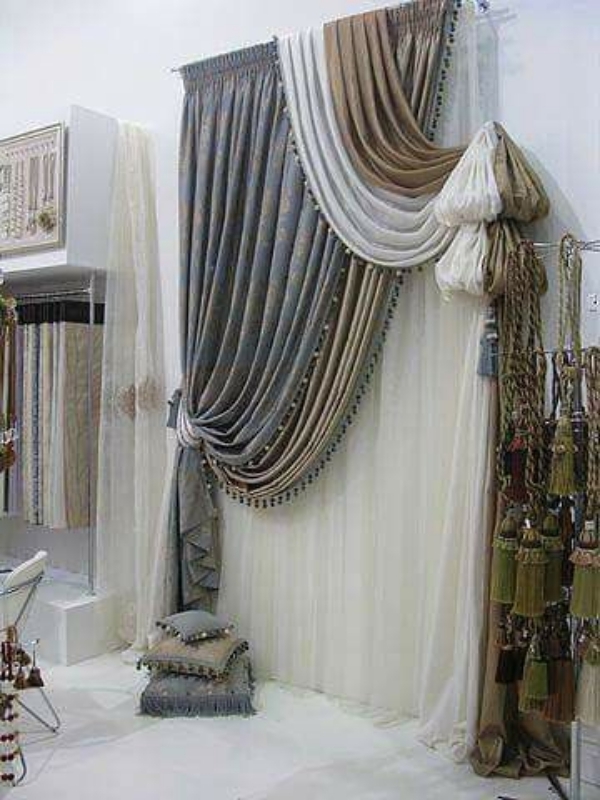 Floral box idea along with these stunning curtain hanging ideas will make your house look just ravishing. 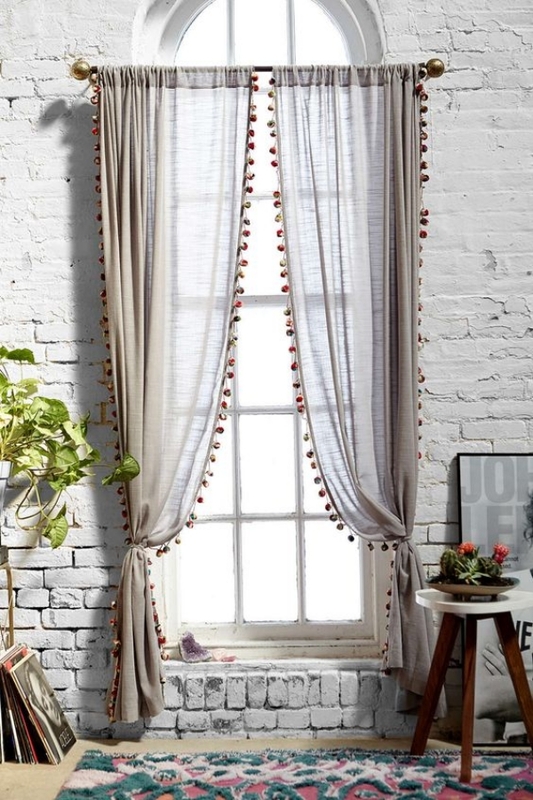 If you have hung pictures using multi-strand wire and little eyes screws, you can use them to hang up curtains too. Just thread the wire through the tabs and then through the eye screw. Attach the eyes screws to each side of the window frame. 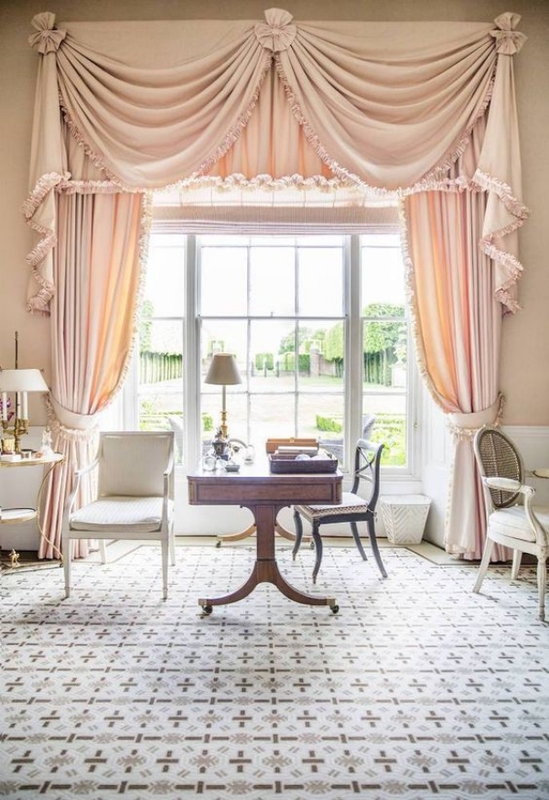 Like you would do with a picture, make the wire tight, by making the eye screw tight and voila your curtains are up and hanging straight! Yes, you read that right! 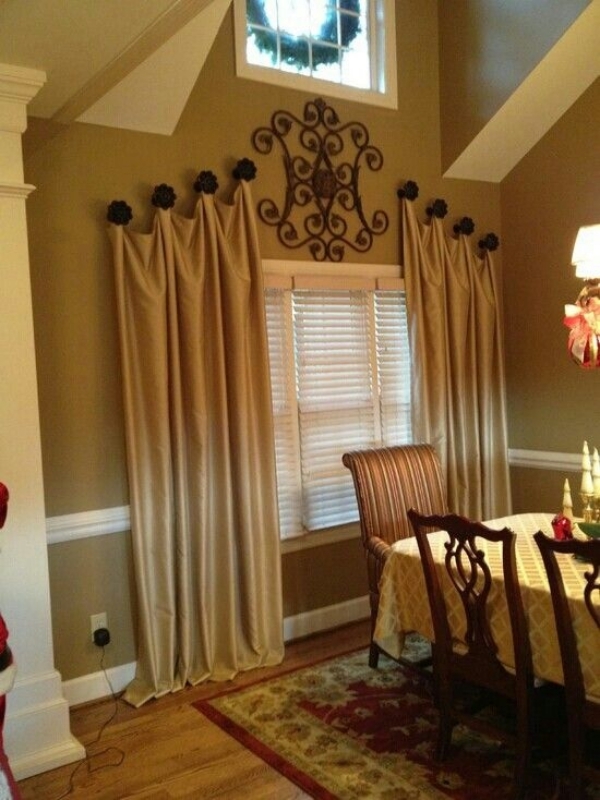 Drawer knobs can be used to hang curtains. 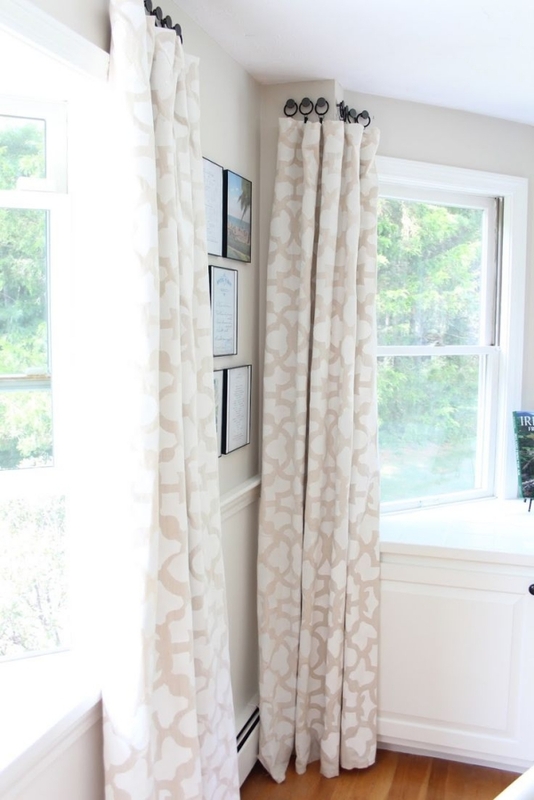 Take some single drawer knobs and fix them above your window. Tie the curtains to these knobs with fabric ties. If you want to match all the hardware, especially in your kitchen, you can use the same type of knob for the drawers as well as curtains. 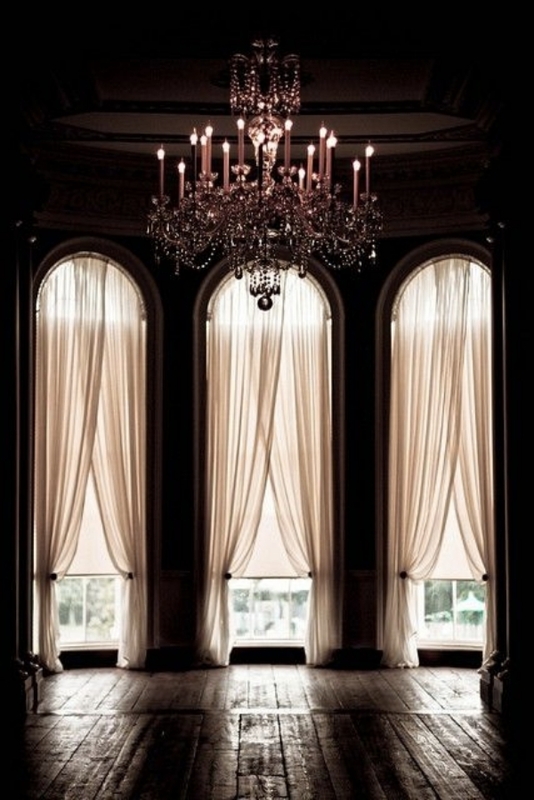 How is that for one of the most creative ways to hang curtains like a pro? And if you don’t want to go overboard with all the creative ideas, you can just stick to plain old nails. 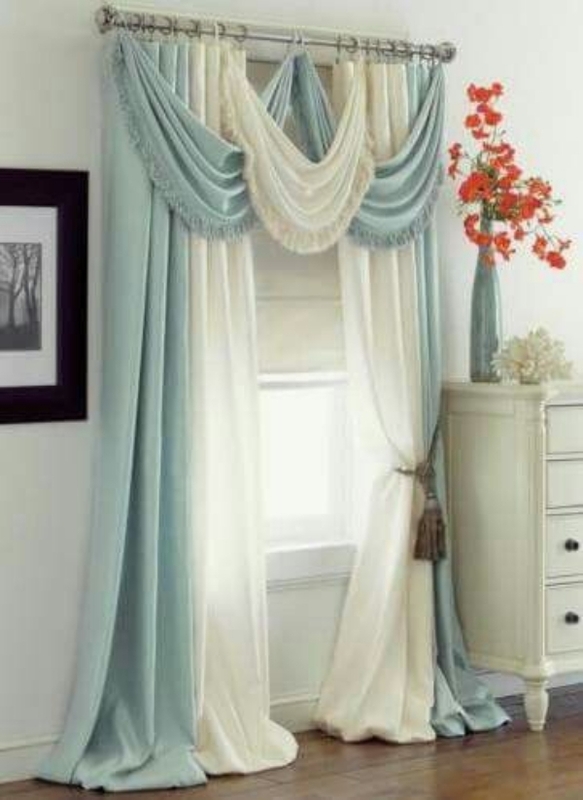 Especially if you are hanging up sheer curtains, and don’t plan on changing them too often! 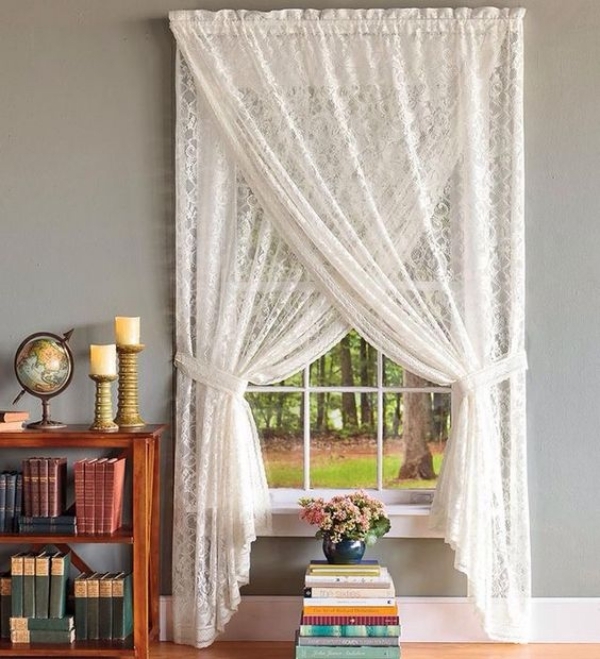 Simply fix two nails on each side of the window and tie a thin cord that will hold your sheer and lacy curtains. 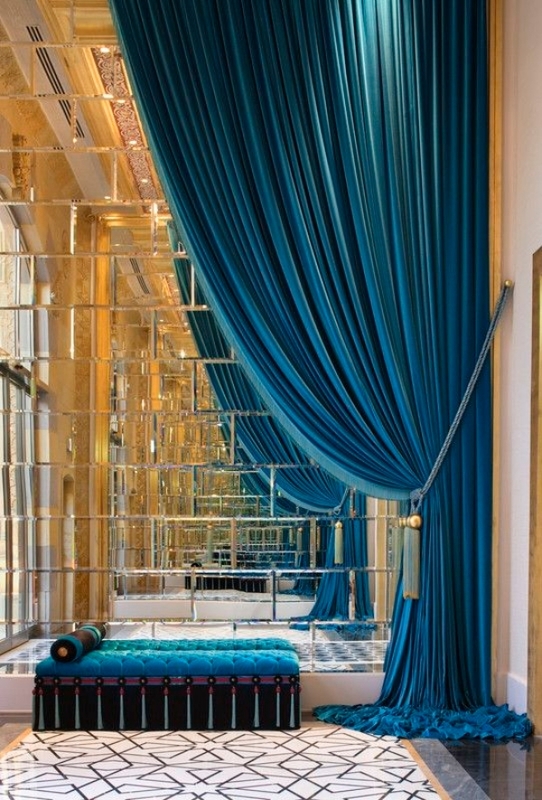 The amazing grill designs to make your window more exotic and classy are right here. 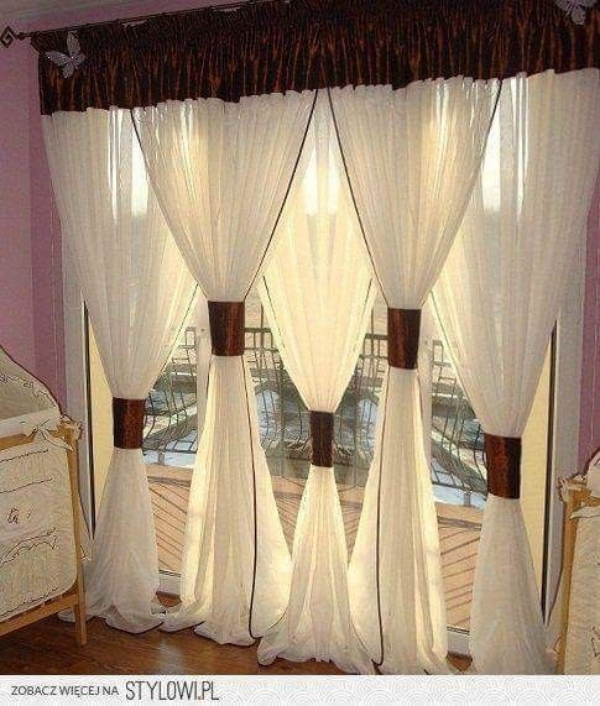 If you were looking for creative ways to hang curtains like a pro, you came to the right place! 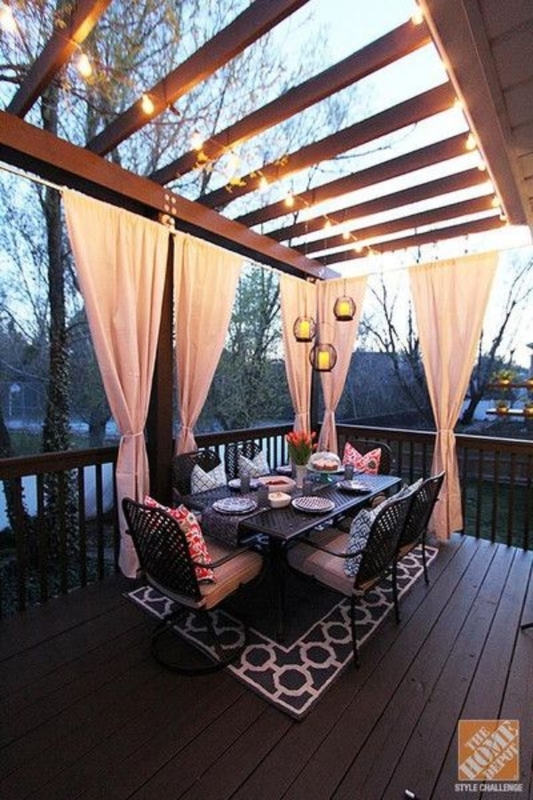 I am sure your guests will go “Wow!” once they see your creativity.